We don't normally get reindeer in around the institute. 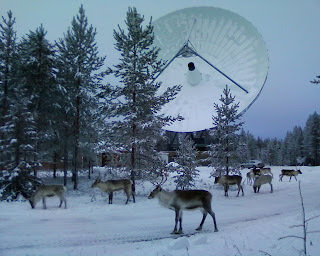 A few reindeer fences should put stop to them wandering through. 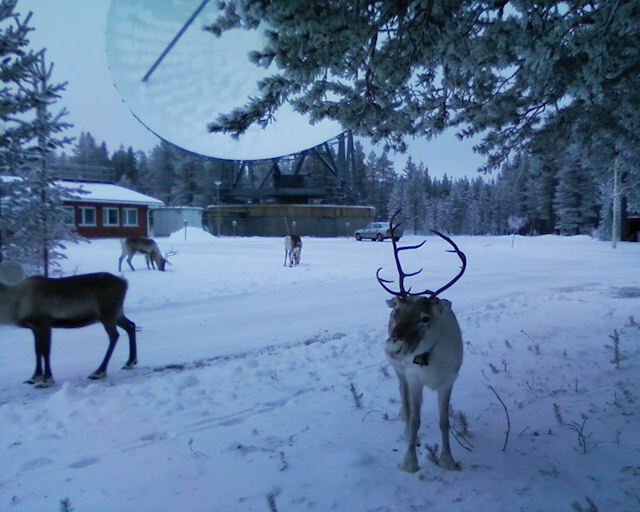 However, our experiences at KAIRA indicate that one should not rely 100% on a reindeer fence and that there will always be occasions when these lovely creatures turn up for a party. So, sure enough, the other day we did have a small herd wander in... I've no idea how they managed it! The first I heard of it was the doleful clanging of the bells that a few of them are wearing. They then spent a couple of hours digging through the snow trying to get at the left over grass from the past summer.